This entry was posted in Health, Health Insurance Blog and tagged health insurance on 12/09/2015 by admin. One of first things many people do to lose weight is to switch to eating salads for lunch, unaware it could actually work against them. They figure it’s got to contain less fat and calories than a burger or piece of pizza, but (here comes the shocker) – depending on the salad in question, that’s not necessarily true. The average burger contains about 450 calories and 19 grams of fat. So, to combat your battle of the bulge, you opt for the seemingly healthier meal of a salad at your local fast food restaurant. McDonalds’ Premium Southwest Salad with Grilled Chicken drizzled with Ranch dressing sounds like the perfect alternative to those greasy burgers and fries, right? Wrong, actually. The Southwest Salad just mentioned adds more calories and fat to your diet than the average McDonald’s hamburger. That “healthy” salad, explains Sharon Palmer (who is a Registered Dietitian Nutritionist and the author of Plant-Powered for Life) is worth a minimum of 530 calories and 28 grams of fat. Eat a salad like this every day and you’re not likely to drop many pounds at all! 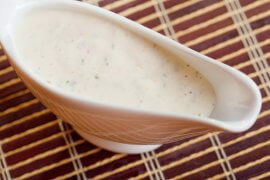 Bleu cheese and ranch dressings may taste good and may be the difference between you having a salad and avoiding one, but if you’re looking to lower your calorie and saturated fat intake, you’ll be failing miserably. 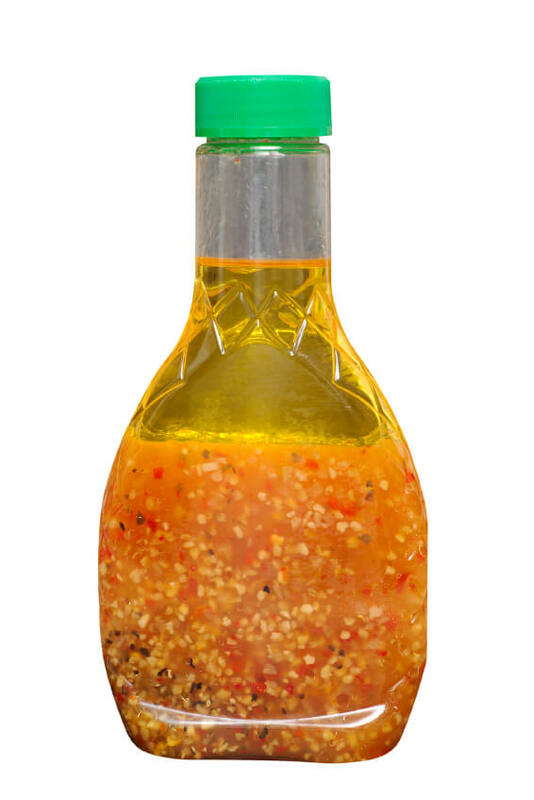 Try vinaigrette instead. It’s a great deal better for you than pouring globs of bleu cheese and ranch all over your tossed lettuce and cherry tomatoes. Be aware that when your favorite dressing manufacturer removes the fat from his product, he’ll replace it with a slew of substitute processed ingredients to maintain a high-level of flavor, according to Jim White, R.D., spokesperson for the Academy of Nutrition & Dietetics. Those may include: higher sodium, increased carbohydrates in the form of high-fructose corn syrup, among others. And, if the dressing is handed to you in a generic packet from a fast food place, it could contain even more things that aren’t especially good for you. You don’t have to completely avoid eating taco salads. However, keep in mind that many Mexican-inspired salads can be high in fat. Taco shell bowls, complete with fried tortilla strips, shredded cheese and a dollop of sour cream can wreck even the best laid plans to lose weight. 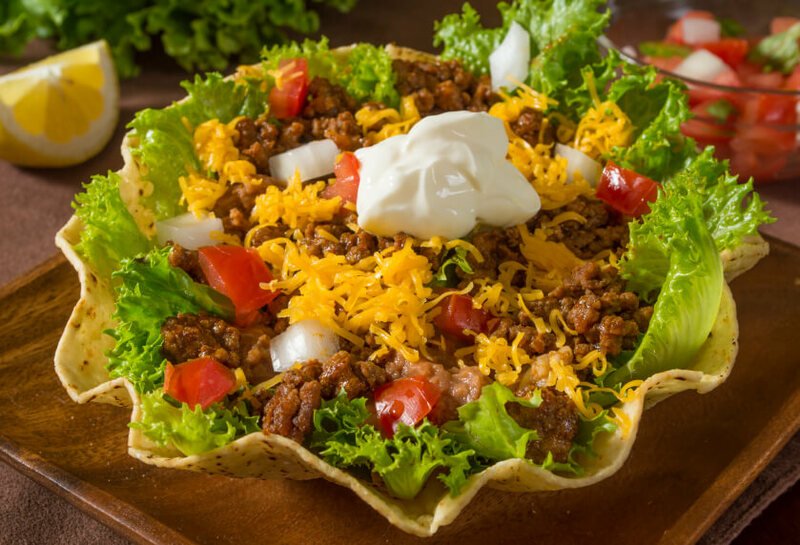 The cheese alone can account for 250 calories and almost 20 grams of fat, says nutritionist Rebecca Lewis, R.D, who recommends having your taco salad with lettuce, beans, cilantro, tomatoes, avocado, but not fattening dairy products. Come on, everything tastes better with bacon on it. But, if you actually believe bacon bits are part of losing weight with your “healthy” bowl of lettuce – guess again. 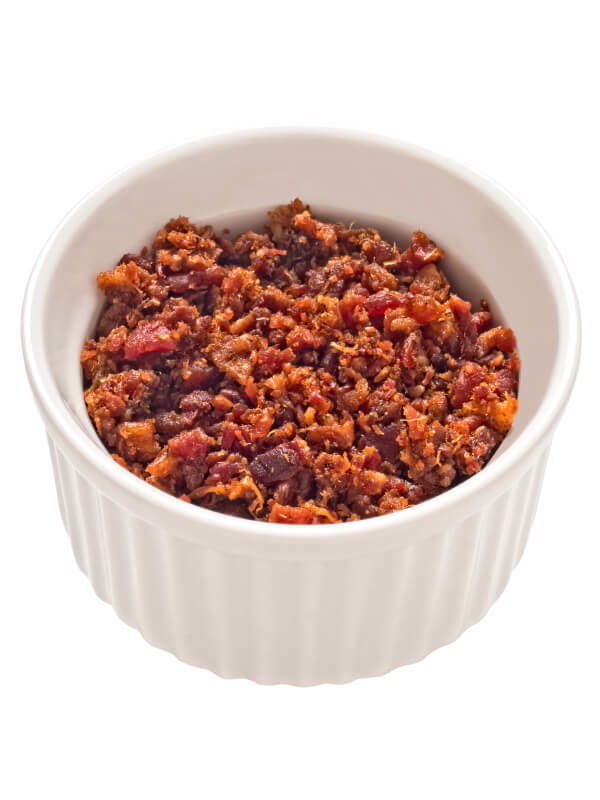 Consider this: one tablespoon of bacon bits packs 50 calories, 500 milligrams of water-retaining sodium, loads of trans fats and preservatives. Those same trans fats have been linked to a higher incidence of weight gain, obesity, type2 diabetes, and heart disease. Don’t play with your health. Eat healthy and make sure you fulfill the Affordable Care Act health insurance requirements with a low-cost health insurance quote from Freeway Insurance today? How’s your diet going? Feel free to share your thoughts in the comments section below.